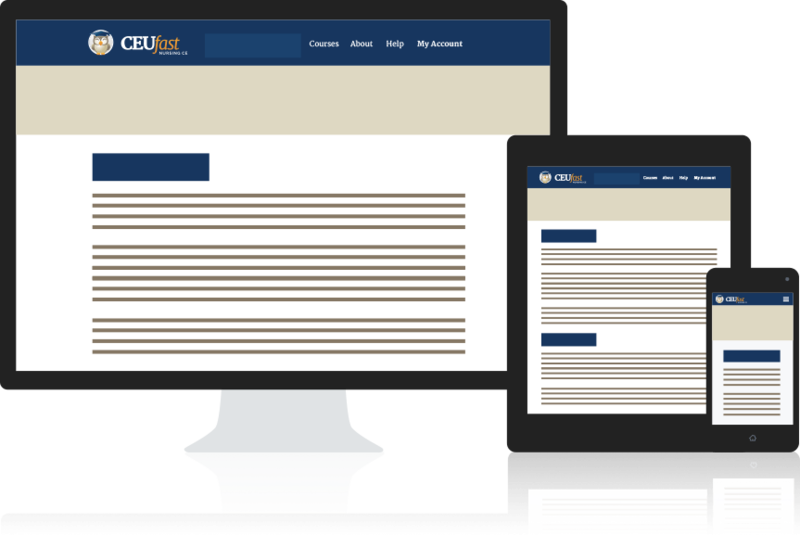 Find out what CEUfast has to offer. Our customer support satisfaction ratings are among the highest in the industry consistently averaging over 95%. 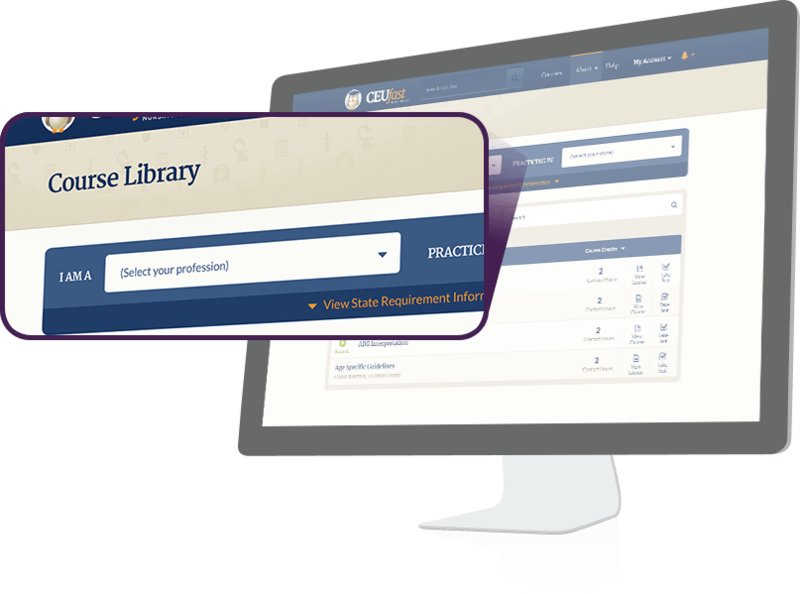 Register for free to view all our courses and take tests. 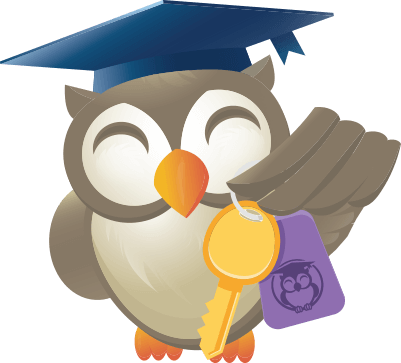 If you decide to use our service, purchase a subscription for access to your certificates. Choose your profession and state to view available courses. Choose from any of the courses in your list to get started. With our seamless learning experience, you can move from one device to the next and pick up right where you left off whether you’re studying a course or taking a test. 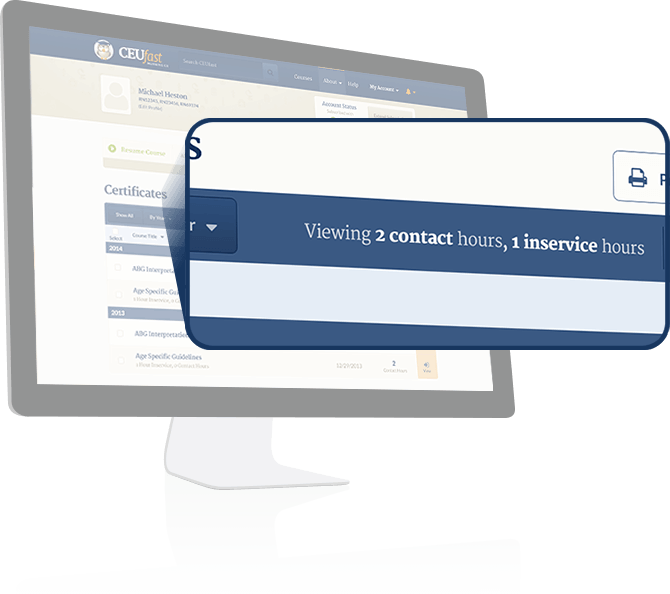 Our "My Account" page will help you quickly determine how many contact hours you have completed within a specified period to help you track when you’ve met your state requirements. Purchase a subscription at any time to get one year of unlimited access to new certificates of completion. You Buy It. It’s Yours. We maintain copies of all your certificates for a minimum of 6 years. 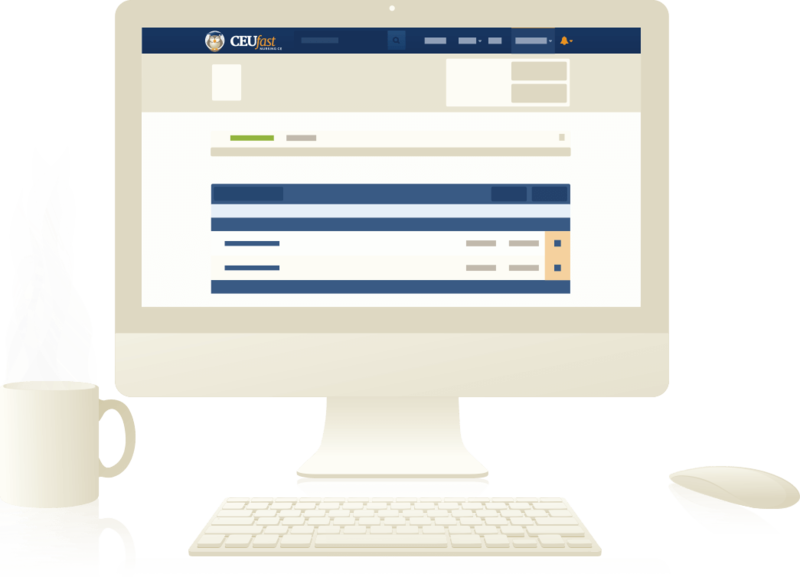 You can return at any time to access previously purchased certificates at no charge. You can try CEUfast for free. Subscribe to access your certificates!